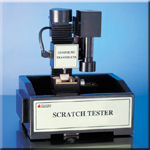 A scratch tester is a mechanical device commonly used to evaluate the scratch resistance of a surface, which includes coatings, metals, ceramics and polymers. 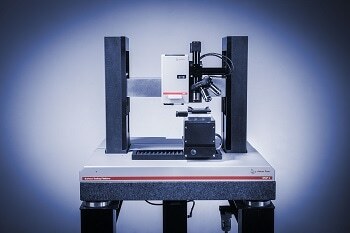 Typically, a test panel is clamped down and slowly moved while a stylus scratches the sample surface. Based on test procedures, set or variable loads can be applied to achieve various results, from trace scratches to destruction of the sample. Sliding rate, direction, stylus shape and stylus material can also be varied to provide different results. The tangential pressure at the contact interface can be observed by automated means, and the onset of a scratch or coating failure can be determined based on this pressure. Furthermore, a camera is often used to capture detailed images of any scratch creation. Once submitted, we will try and place you in contact with a suitable Scratch Testers supplier within 48 hours.